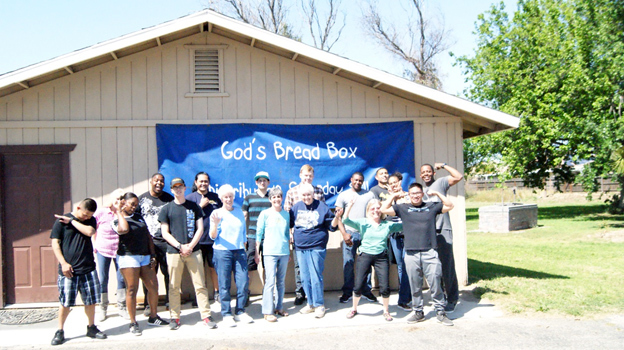 God’s Bread Box Food Distribution In Action! We distribute nutritious food (including meat and fresh fruit and vegetables when available) the fourth Saturday of each month. In September we also hosted a mini health fair with the Fresno State mobile screening unit and information from Every Woman Counts, Behavioral Health, and the Family Health Care Network.